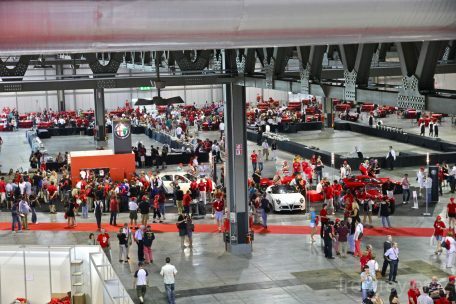 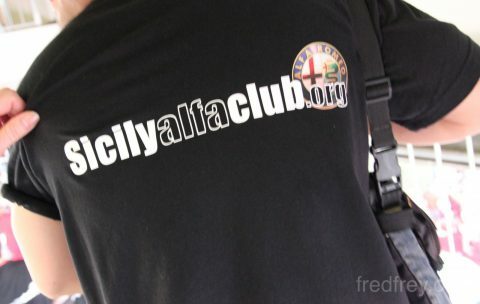 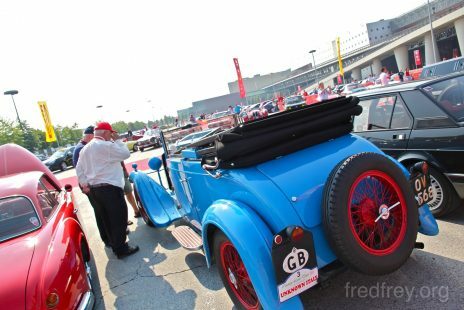 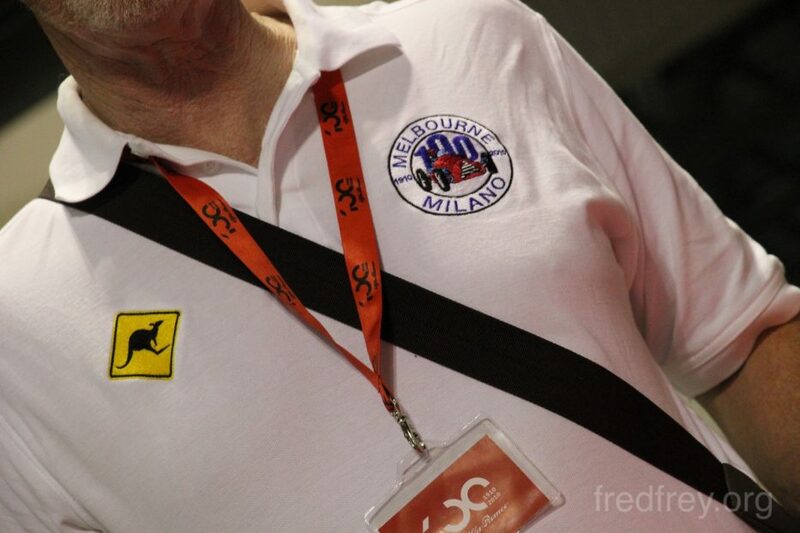 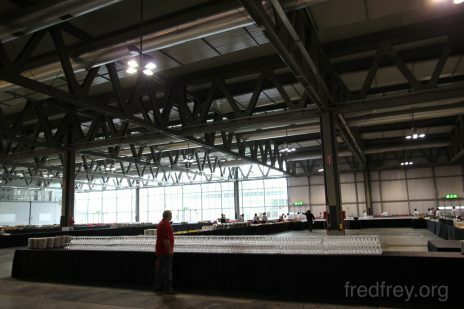 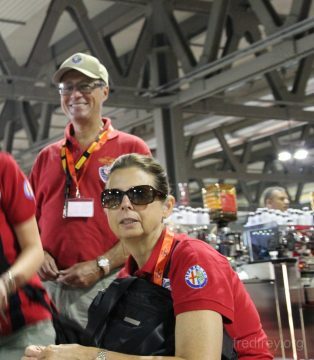 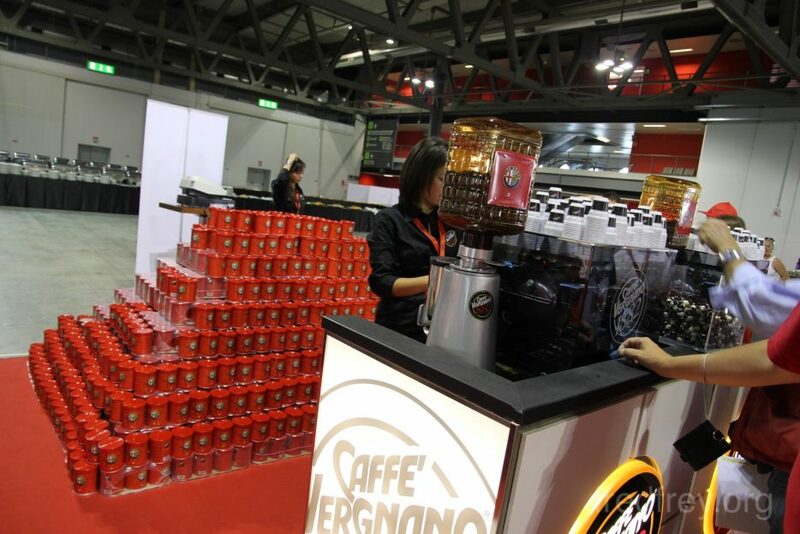 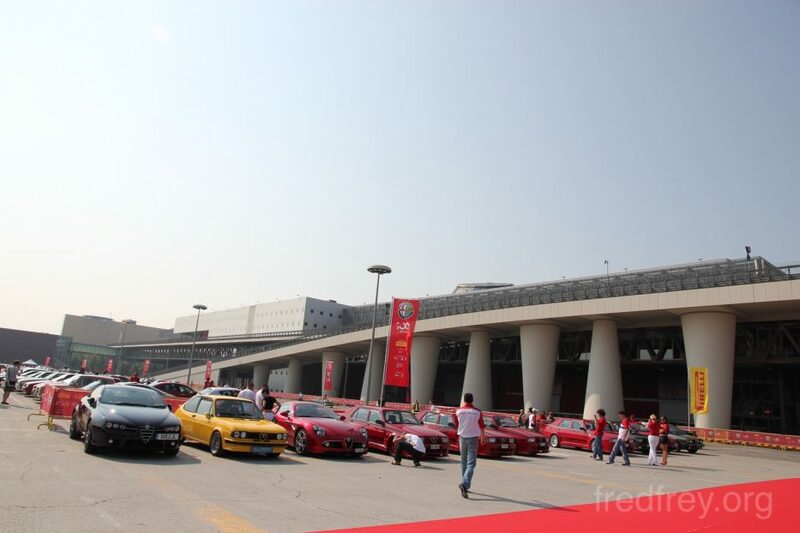 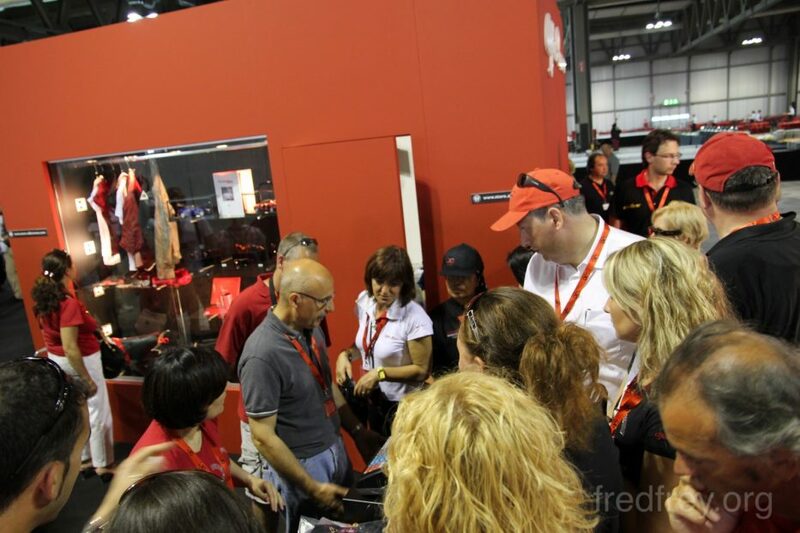 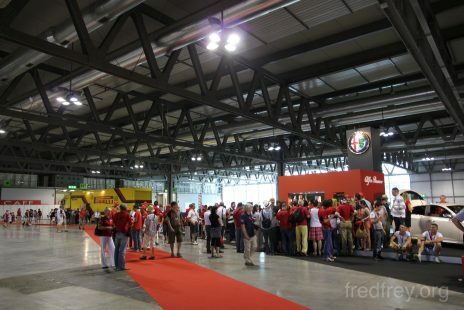 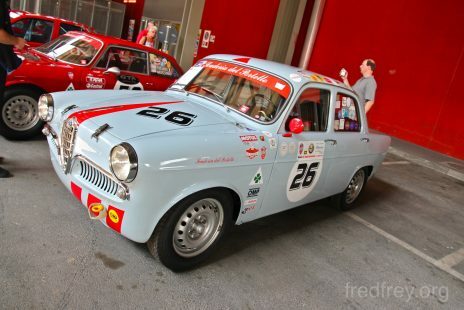 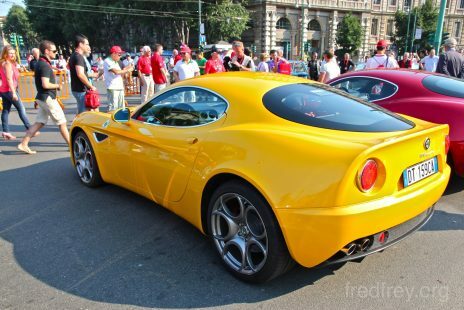 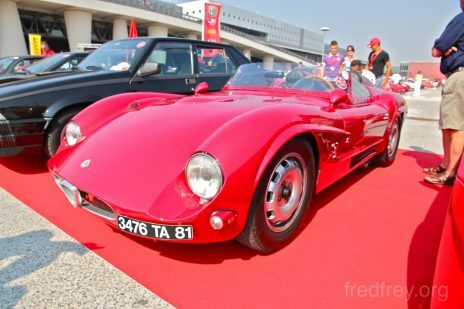 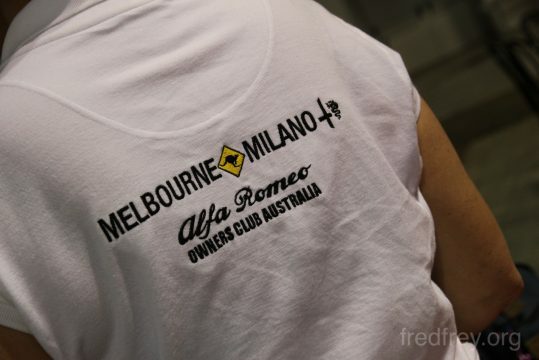 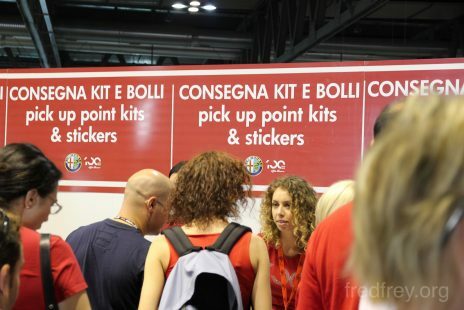 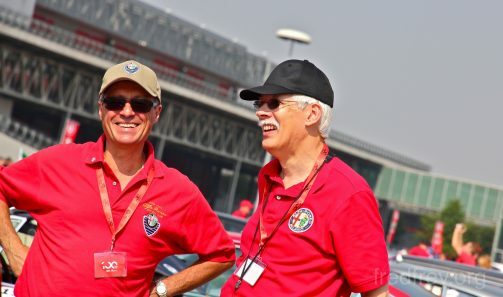 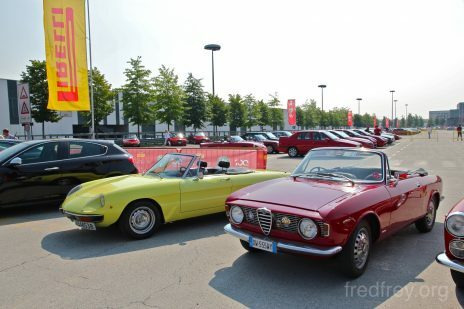 At 9am, over 4000 Alfas converged on the Rho fair convention center outside of Milan. 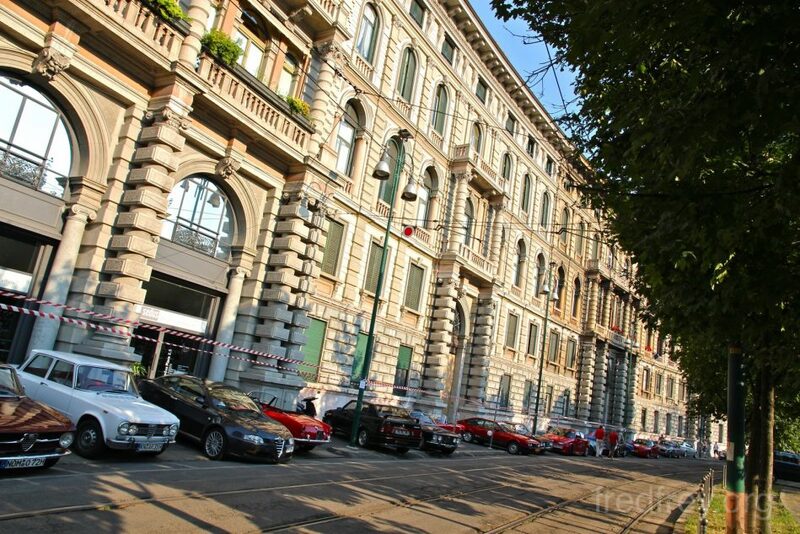 Parking this many cars would be a logistical nightmare even for the Germans but the Italians did it with style. 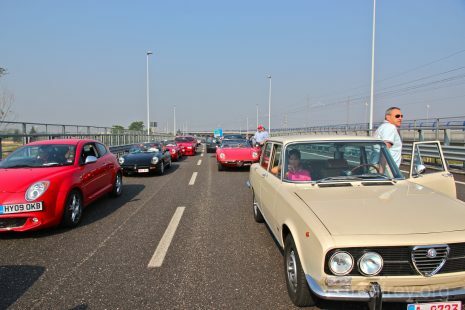 A several mile traffic jam full of beautiful cars is not such a bad thing. 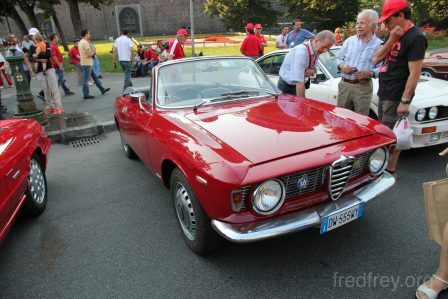 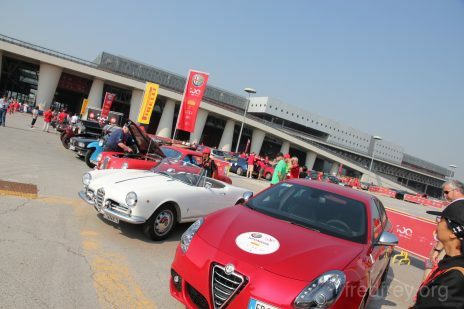 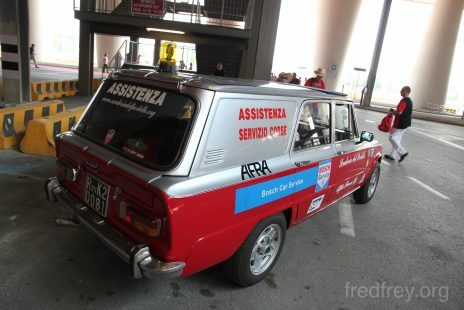 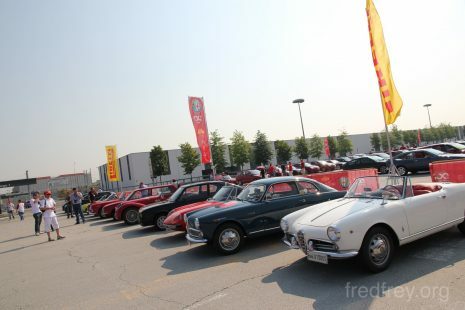 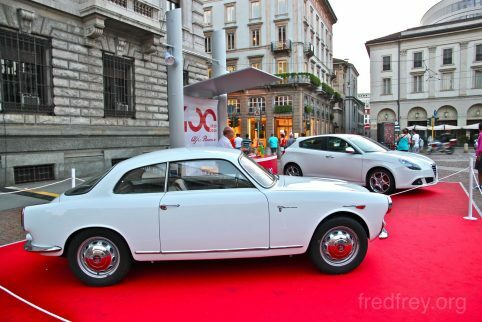 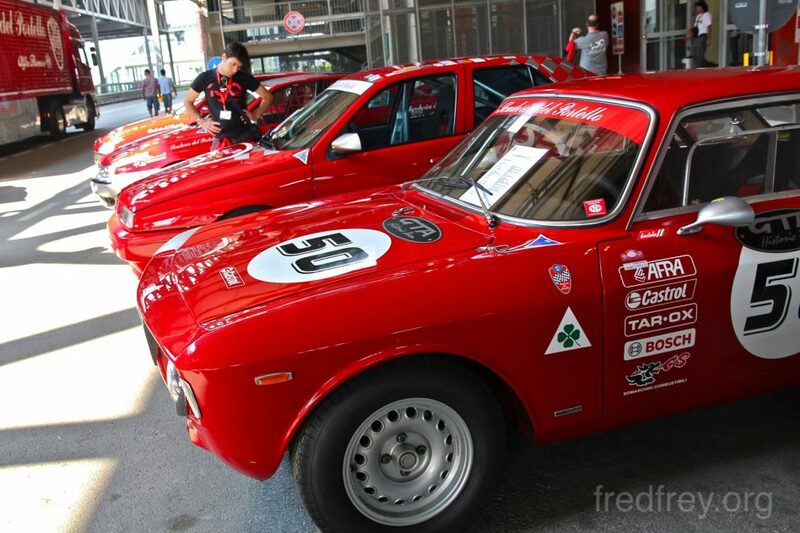 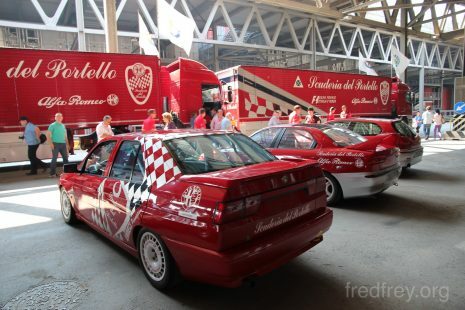 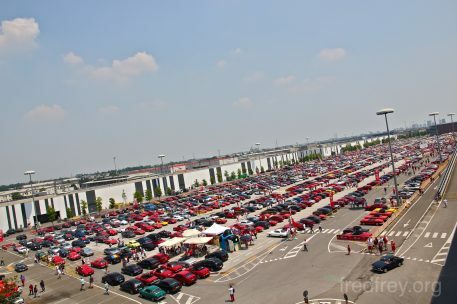 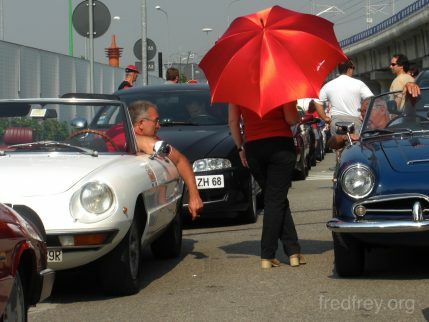 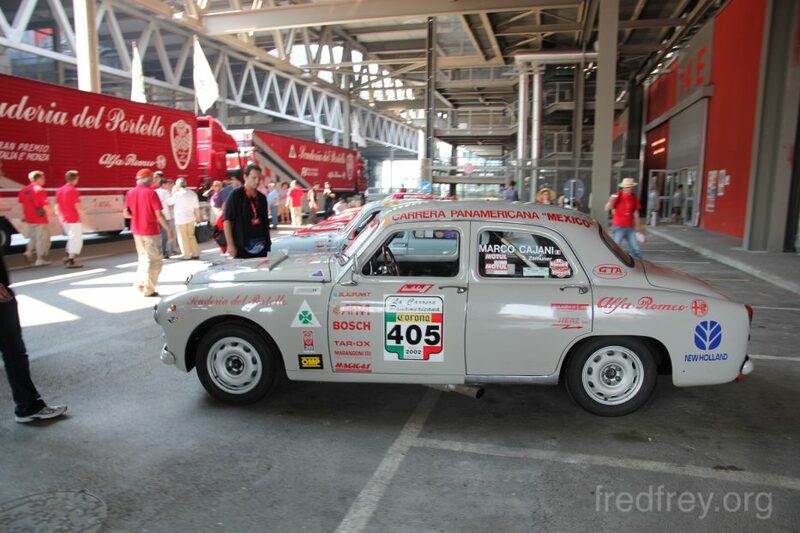 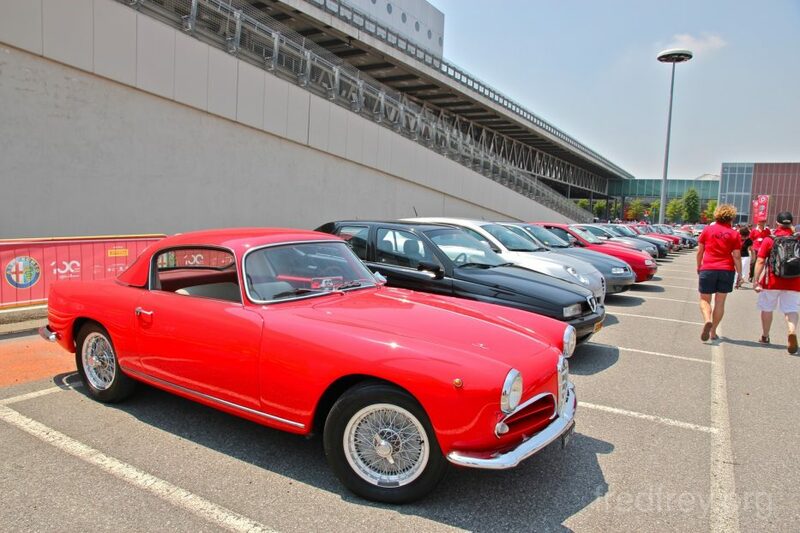 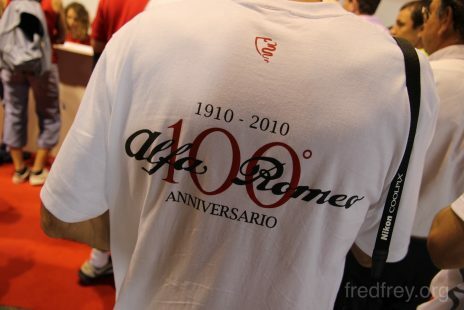 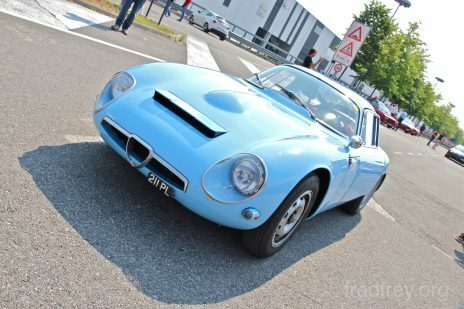 Parking areas were organized by country with a special section devoted to the top 100 Alfas in the center. 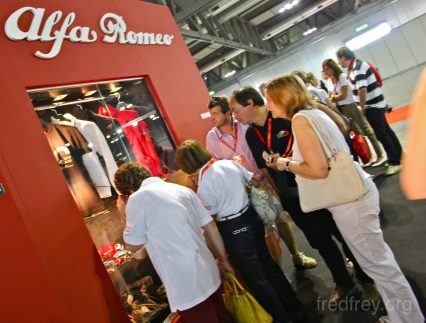 The Rho Fair was and Alfistis dream come true. 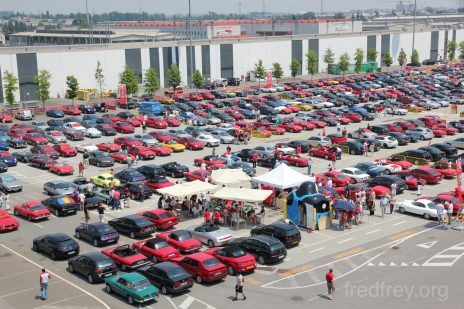 The parking lot of attendees was a dream car show. 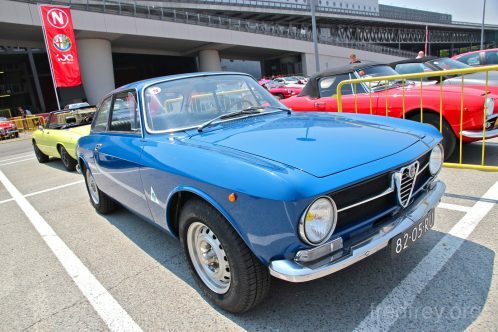 Everywhere you looked was another car that you have only read about – now here in front of you in perfect condition. 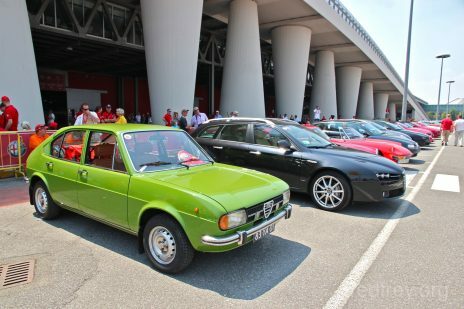 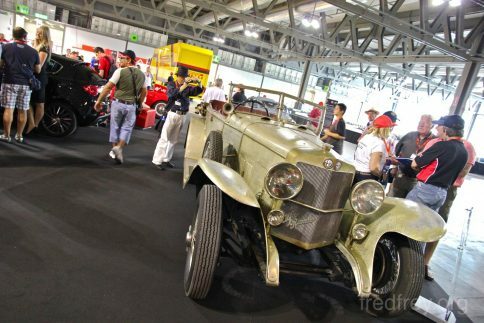 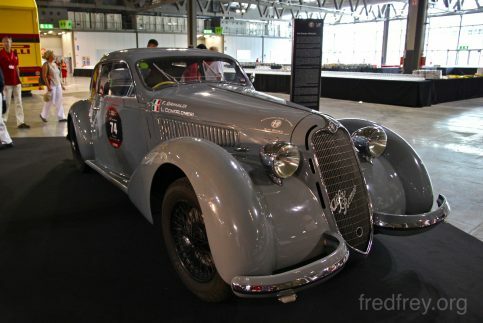 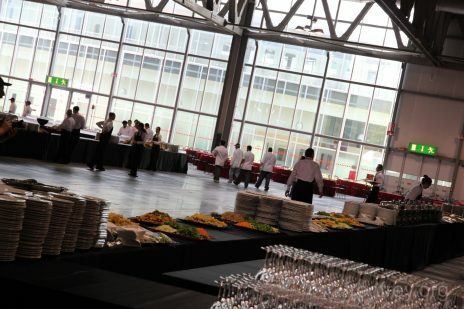 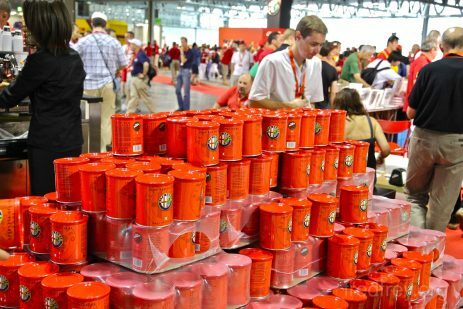 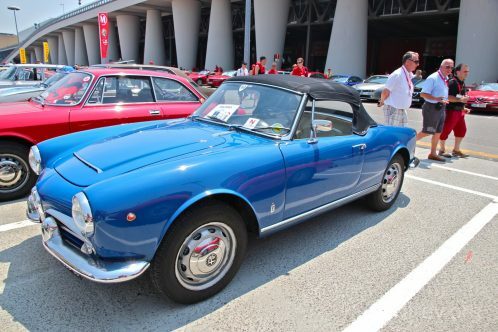 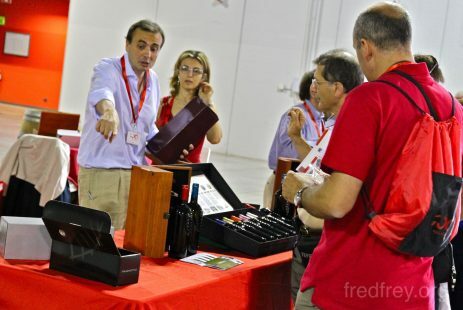 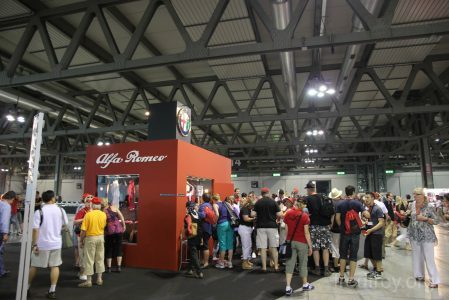 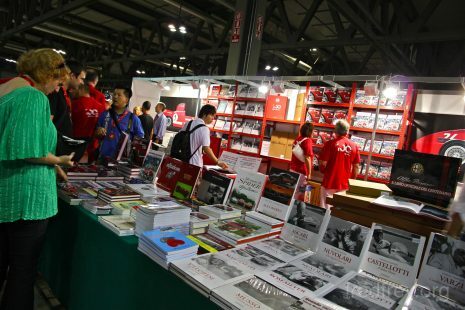 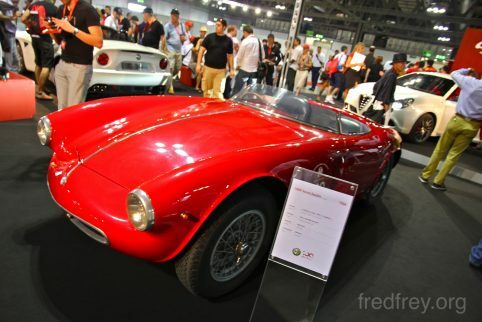 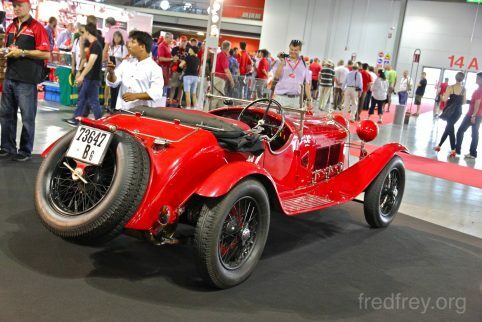 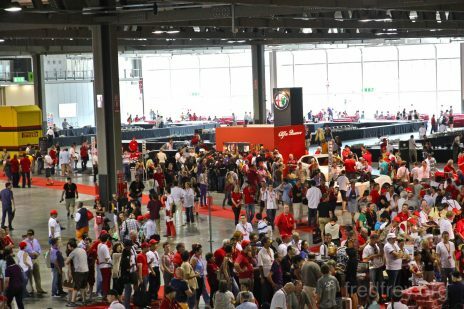 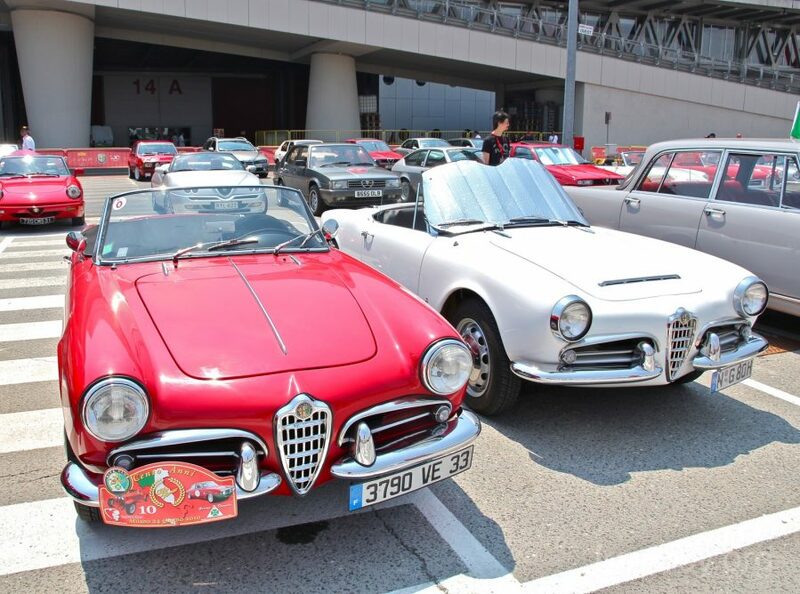 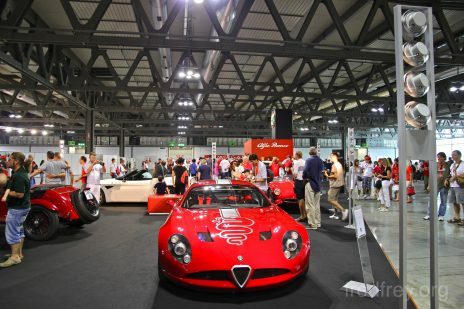 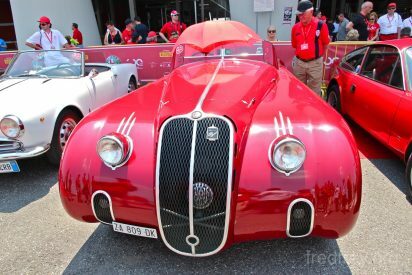 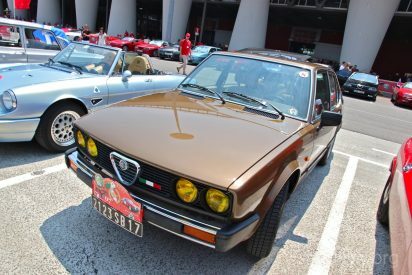 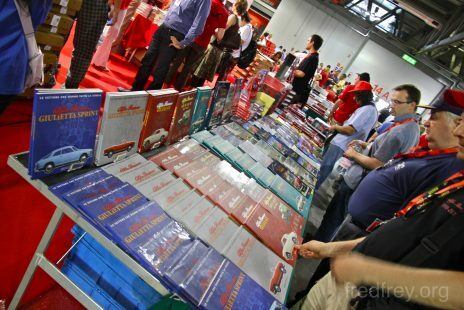 Within the convention center was a display of some of the most special Alfas both old and new as well as book, clothing, wine and coffee vendors. 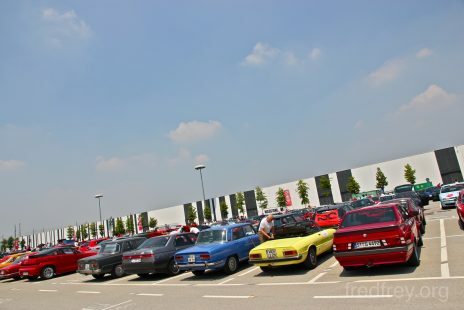 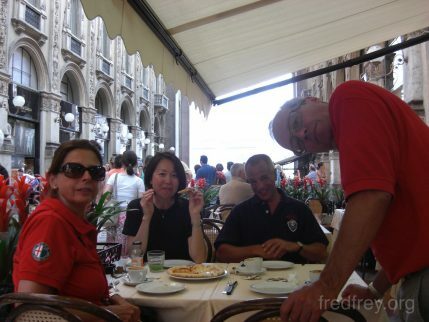 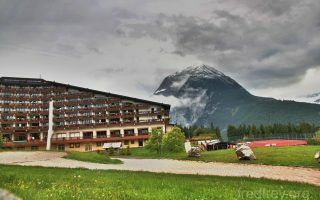 After ogling the cars and meeting up with old friends a massive and quite good buffet lunch was made available. 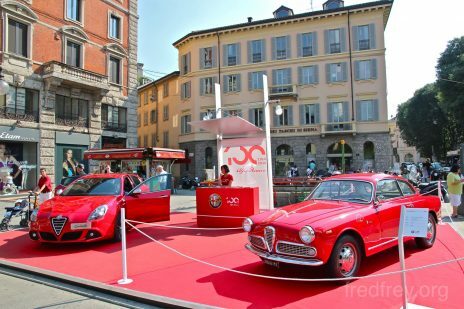 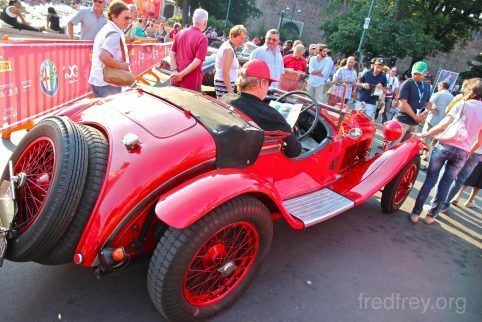 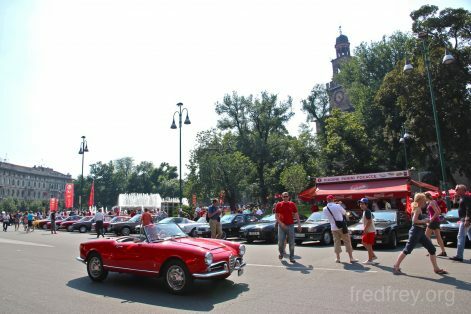 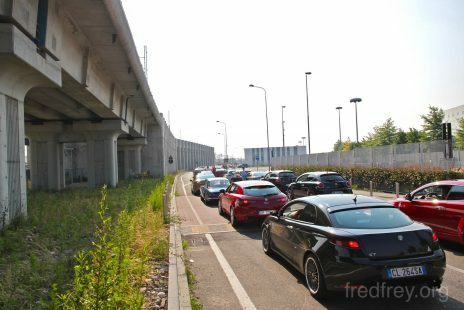 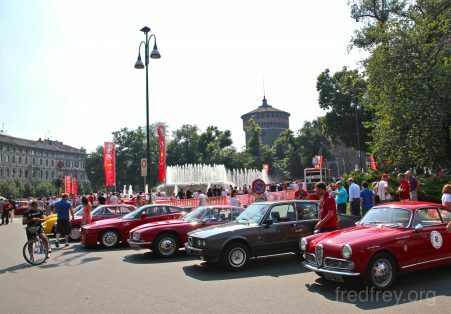 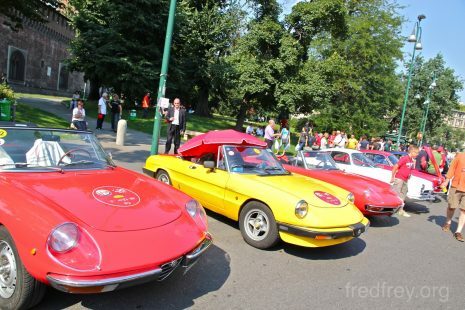 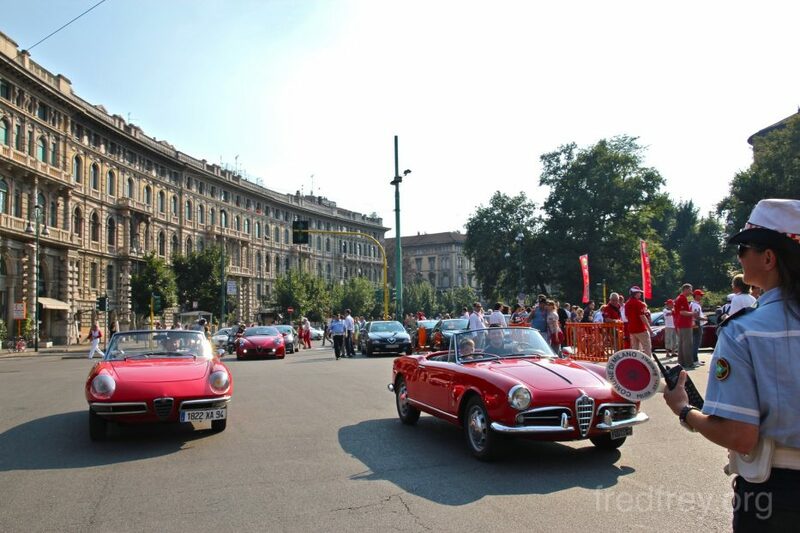 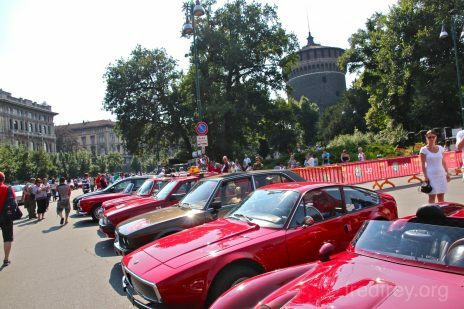 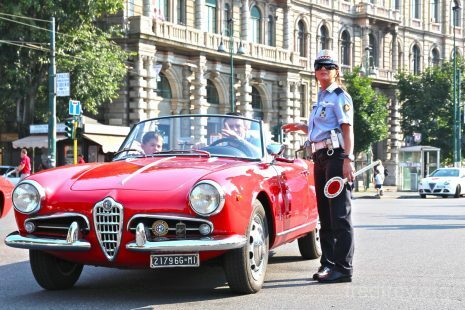 At 3pm the top 100 cars followed by another few thousand or so made the trip to the center of Milan and turned the city in to a fantastic tribute to Alfa Romeo. 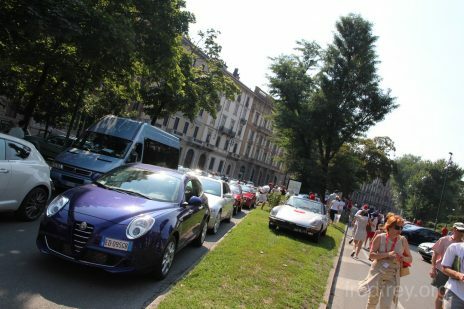 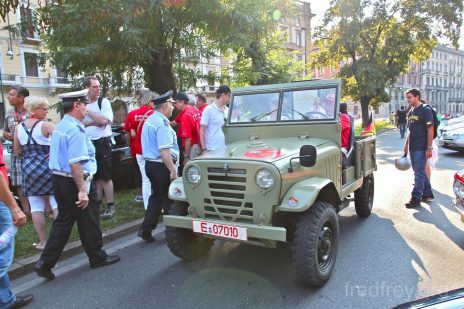 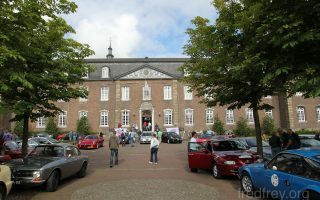 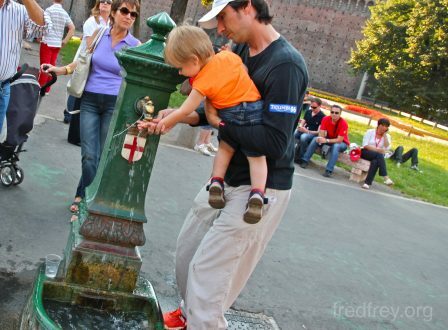 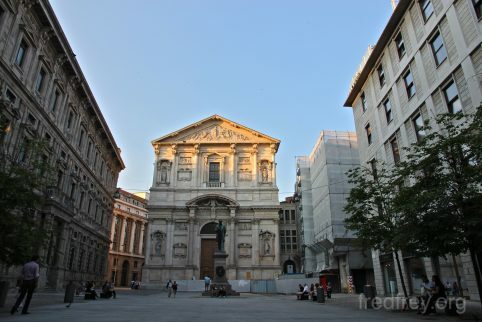 The locals and tourists were treated to an amazing selection of rare cars parked among the beautiful medieval buildings. 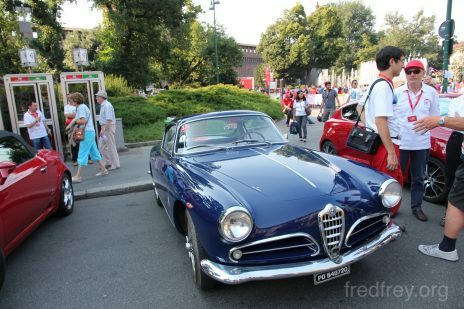 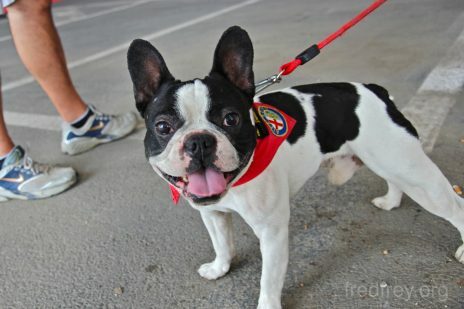 Hello "gudio " I'll make a special website for your car. 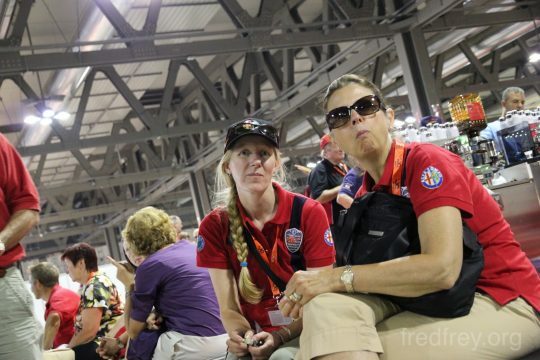 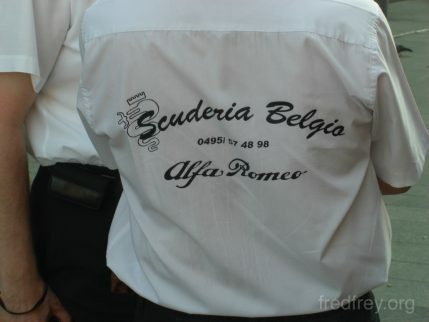 How was the Sud you went to look at?